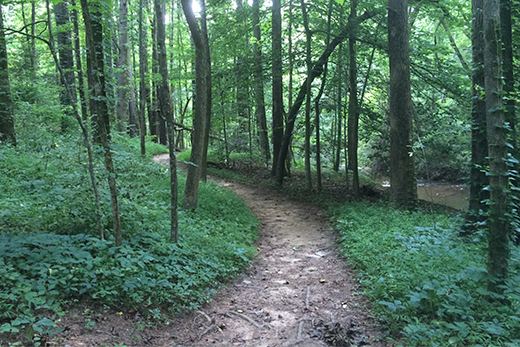 Emory's Hahn Woods, officially the T. Marshall Hahn Jr. Commemorative Forest, features a walking trail and views of the South Fork of Peachtree Creek. 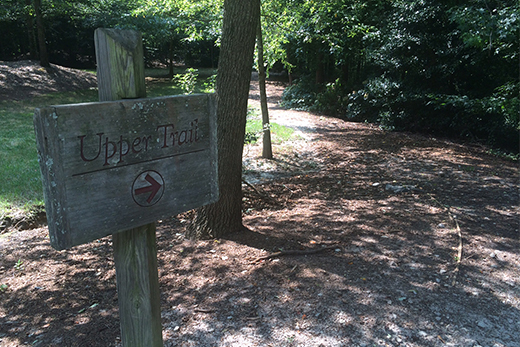 Two acres of Emory's Hahn Woods, along with 750 linear feet of stream bank on South Peachtree Creek, will have invasive species removed and replaced with native vegetation in a planned project with Trees Atlanta. The project is one of seven Georgia efforts recently awarded 2015 Five Star and Urban Waters Restoration grants through the National Fish and Wildlife Federation for conservation work. 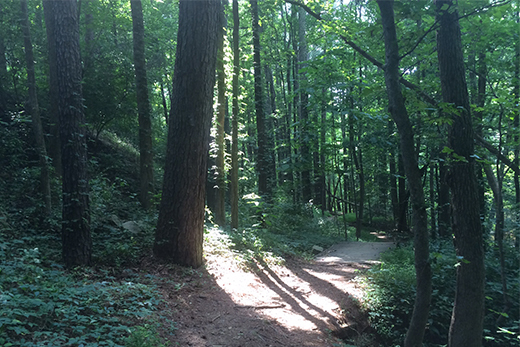 Led by Trees Atlanta, the project's partners include Emory, South Fork Conservancy, Cascade Springs Forestry and Beech Hollow Farm. The timeline for the project hasn't been set. Jimmy Powell, director of exterior services in Emory's Campus Services, said he along with members of the Committee on the Environment; James Johnson, campus landscape architect; and Trees Atlanta coordinator Brian Williams will schedule a meeting to review the proposed scope of the work on-site very soon. The project site is in a key connection point of the area watershed. 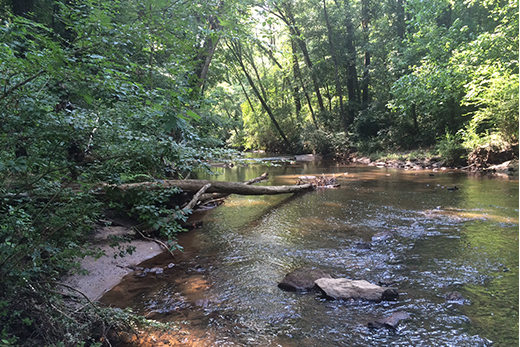 "This project will be the second project that Trees Atlanta has initiated whereby Emory and the South Fork of Peachtree Creek will benefit from the removal of invasive species and the planting of native riparian vegetation," Powell says. The first project was completed this past winter with a grant awarded to Trees Atlanta. "That work involved working in the area around the VA hospital on north side of Peachtree Creek and working in an area of Lullwater on the south side of the creek," Powell says. "We organized Emory volunteers consisting mostly of students to plant the trees and shrubs under the direction of Brian Williams with Trees Atlanta. 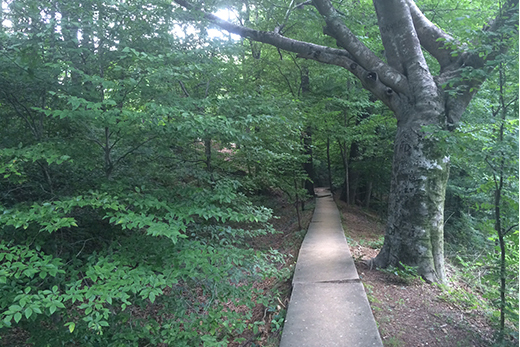 During the course of that first project Powell and his colleagues showed Trees Atlanta representatives some opportunities to do similar work in the area of Hahn Woods. "I assume we will once again try to involve students and the community as much as possible on this project as well," Powell says. "We are very fortunate to be the beneficiaries of these grants and we certainly appreciate all that Trees Atlanta has done for Atlanta and now Emory over the past several decades," he adds.